2016 Jaguar F-Pace 3.0d review | What Car? We’ve driven the Jaguar F-Pace extensively abroad, but this is our first opportunity to sample the V6 diesel on British roads. The larger of the two diesel engines available, it's exclusive to S trim models, which means it’s a pricey option when measured against its many rivals. All-wheel drive and an exceptional eight-speed automatic gearbox are standard, though, as is the car’s more sophisticated adaptive suspension. What is the 2016 Jaguar F-Pace S 3.0d like to drive? Our previous experience of the F-Pace in the UK has focused on Jaguar’s 2.0-litre diesel – a dutiful, if limited option in the engine bay of a comparatively heavy SUV with serious sporting pretensions. The V6, mostly due to having more low-end shove, is an altogether different prospect. 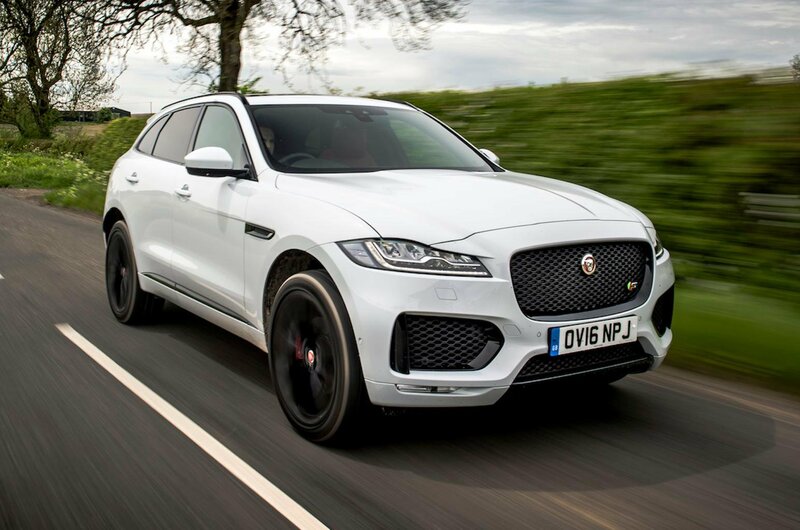 With it, the F-Pace feels authentically quick, and while it isn’t unparalleled in smoothness, the characteristic mid-range throb of a six-cylinder engine makes progress more invigorating. 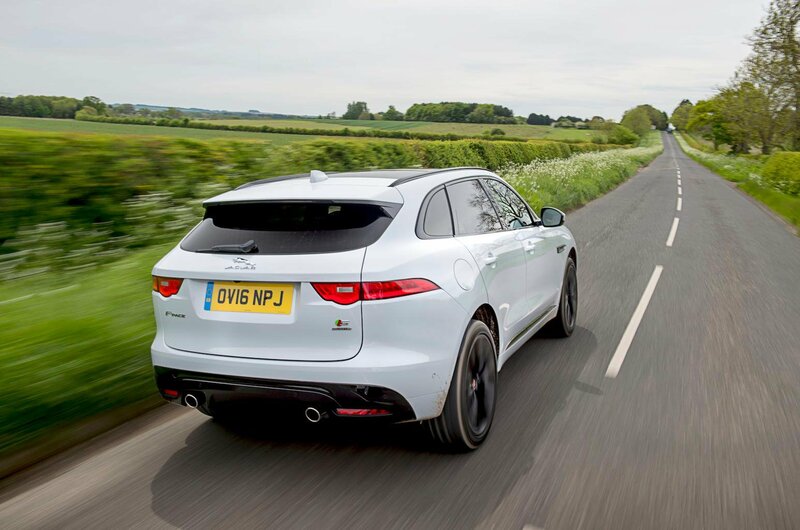 Predictably, the bigger engine suits the F-Pace’s free-flowing handling better, too. Very few rivals drive with the F-Pace’s flair when the road opens up. More often than not, the car manages to have it all: an SUV-like high-riding, de-stressed temperament, then, when a bend appears, the crisp body control and directional stability of a saloon. Our test car came with the optional 22in wheels that cost £1600. They may look smart but they result in a noiser, less supple ride. A number of rivals would make a better job of managing the patched-up road surfaces prevalent in towns, and they’d likely succeed in doing it more quietly, too. A Porsche Macan feels more determined and even sharper – but it’s more wearing, too. The Jaguar, mellowed by the V6’s accessible power, is probably as good to drive as large SUVs currently get. 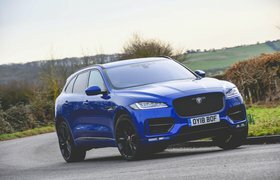 What is the 2016 Jaguar F-Pace S 3.0d like inside? This being the range-topping spec, there’s plenty of leather, satin finish and soft-touch materials but none of it entirely alleviates the sense that the build quality and trim selection are not quite of the Germanic standard being displayed elsewhere. That said, the F-Pace is appropriately well equipped – the rear view camera, satellite navigation, 10-way electrically adjustable heated front seats, dual-zone climate control, Meridian sound system and powered tailgate all coming as standard. 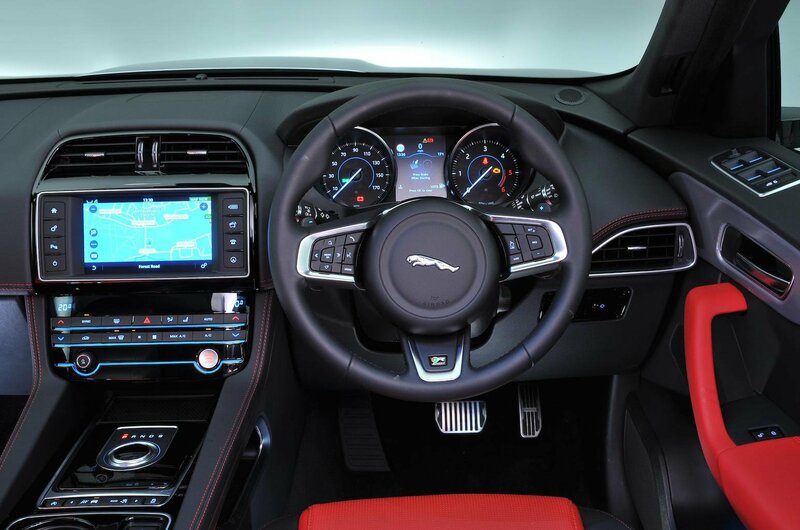 The infotainment system, once a Jaguar shortcoming, is now generally up to scratch, although the InControl Touch Pro Pack that comes with a wider 10.2in screen and eliminates the physical shortcut buttons, remains a £1200 option. In many important respects, this is the best F-Pace. Partly that’s because of the 2.0-litre car's less than stellar performance – but it’s also a fact of the car’s handling prowess: the extra pomp and power of the V6 just tends to feel apt, and if you’re looking for an SUV to deliver a rewarding driving experience, then this is it. Its price premium cannot be ignored completely, though. That the equivalent Porsche Macan, Volkswagen Touareg and Mercedes GLC all start at a lower price than the Jaguar is an issue – not least because they all offer a slightly superior experience inside. The V6’s claimed efficiency – 47.1mpg and 159g/km CO2 – is very competitive, although we’ll need longer with the car to see if it rings true in the real world. For now the F-Pace 3.0d confirms the model’s current standing: extremely likeable, if not quite perfect.